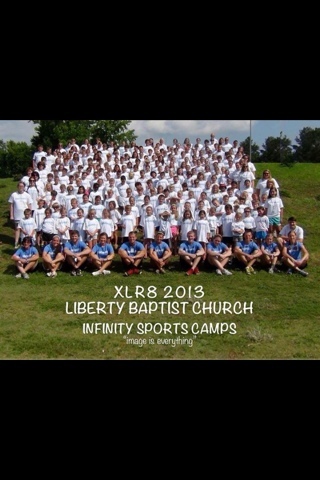 June 10 - June 14th Jackson, Brylee and Zac all went to XLR8 Sports Camp at our church. My kids LOVE this camp. They look forward to it every year. It is a group of college students that primarily come form Tennessee and spend their summer traveling around doing this camp at different churches in the southeast. They not only teach them different sports and team work but most of all they teach them about Jesus Christ. They have worship time and to hear 200 kids sing about Jesus is nothing sweeter! Jackson even got up in front of the whole camp and shared the Bible story from they day one day! JP I hope you never loose that desire to share with others about Jesus! On Friday they have a closing ceremony. They all get awards and some of the sports show what they learned! Zac getting his "Mr. Cool Award"
Brylee getting "Cutest Cupcake Award"
Brylee took baton this week as one of her "sports"! She loved it! Now she wants to take baton and be a twirler! Oh my! What is next BP??? She did love it and I was glad she was able to try something new! She was so excited to dance to the LSU fight song during the closing ceremony b.c our children's director is a huge LSU fan! The group picture from camp! What a great week!! !